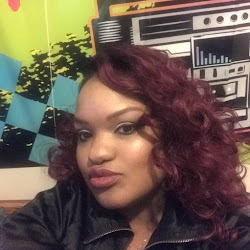 "Check out Living It Up on http://www.blogtalkradio.com/mstra-thatgem Saturday at 1:30p"
As the owner and operator of 2 successful companies, Angel Willis aka PRGirlAngel, takes a minute to talk to Ms. Tra` "The Gem", about career, being an entrepreneur, and woman in the entertainment business. 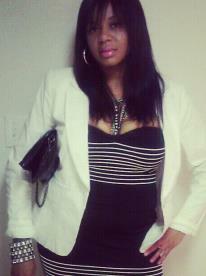 PRGirlAngel Entertainment is my first business circa 2007, Ft Lauderdale FL. This business was started as a PR/ Marketing Firm, which was aimed toward Caribbean businesses and entertainers. The business basically came from my love for music, and Caribbean culture. Prior to moving to Ft Lauderdale, growing up in Boston I was exposed to many cultures, lifestyle, and music. Music has always played a major role in my life. I come from a musical family, maternally and paternally. Being raised by grandparents, I had a very structured and religious upbringing. My grandfather was the director of 2 church choirs, and a member of 3. My grandmother cousin and aunt were all a part of the Boston Symphony Pops choir. As a child I took piano lessons, and learned how to read music by the age of 8. In elementary I went to a private “African culture inspired” school Imani Institute. There I learned how to play the drums, African dance, and express my thoughts through poetry, and writing. The mastering of expression through writing stuck for many years. The more news and events I covered, the more people took notice. I started to get contacted by artist, labels, and other media outlets. But I wanted more. I wanted to not only be my own voice, but I wanted to be their voice. While studying Public Relations at Broward Community College, I decided, to start PRGirlAngel Entertainment, and worked as a publicist to people within my network I had created. A friend by the name of “Missy 876”, also in the entertainment industry, gave me the final push I needed to get started. I remember after a long conversation, her words were “if you ever need ANYTHING, call me, I am here”. I had always looked up to Missy, and although she never knew, that conversation was the true start of PRGirlAngel. I worked for many years as a publicist, for several dancehall artists, radio stations, and other businesses. Within a few short years, I had built my professional reputation, and network by great business ethic, and undeniable determination. The misconception is that working for self is care free, fun, and happy go lucky all the time. The truth is that you actually work harder when you are an entrepreneur. There are no such things as “business hours”, “holidays” or “overtime pay”. Either you love what you do, and do it with 110% effort unconditionally, or do it part time and never reap one single benefit. My motto is “go hard or go home”. Often times I work all day sleeping 2 hours or less at night. I am a mother; my motherly duties have to be executed as well. But I keep my eyes on the prize, and work hard. I will not stop until I physically have to. 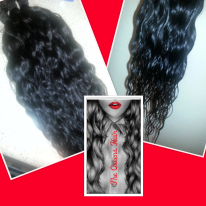 5A virgin hair extensions. Hair and beauty is my second love, and second business. While things are as busy as ever, I am enjoying the success of both my businesses, and look forward to bigger and better networking opportunities, and business opportunities. At the age of 30, I can honestly say the best is yet to come. I am still taking on new clients and projects for PRGirlAngel Entertainment (marketing and public relations) and The Queens Hair continues to evolve. "My advice to young woman trying to become entrepreneurs is to first and foremost, stay in the light of God! Adversity is definitely going to come your way, and there will be a million reasons to give up, but whatever your one reason for going on is, hold it near and dear to you, and never let it go. Having balance in life is key; otherwise everything can become overwhelming, very quickly. Never be afraid to ask for help when it’s needed. Don’t be afraid to fail, or you will never succeed. I have had many trials and tribulations, many scandals and many hardships. But, my undying motivation keeps me going one day at a time. I have weathered the storm, and you can too. "